Bought as a present for a young student. Easy purchase, QUICK shipment!! Will buy from Miles Kimball again. 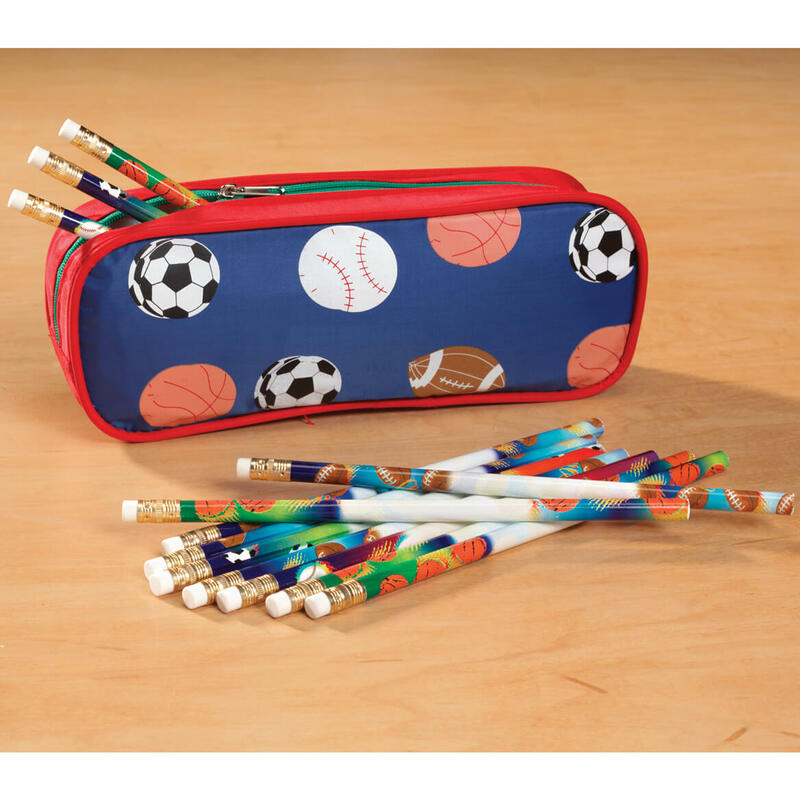 I purchased pencil cases with pencils and personalized each one for each one of my 7 younger grandchildren. They will be part of their Christmas gifts and I expect they will like them very much. Since they are labeled with each persons name, there will not be any confusion as to who ownes what. I love it! My grandson and nephew are starting kindergarten this year ... this is a wonderful gift idea and exactly what i hoped to find. 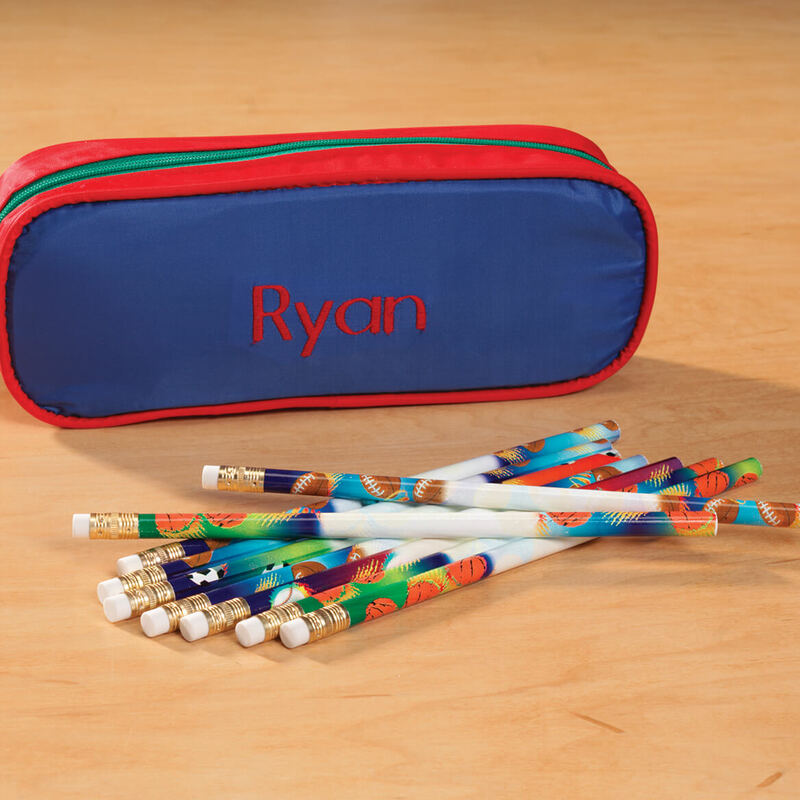 I ordered the personalized sports pencil set for my grandson who has entered kindergarten this year. He enjoys sports, so I felt that he'd like using the pencils in his school day. I think I'll go ahead and order a set for my granddaughter and hope I can remember where I put it when she enters kindergarten in two years. Pencil bag was cute. The personalization on the pencils was very small. Christmas gifts for great-grand children. 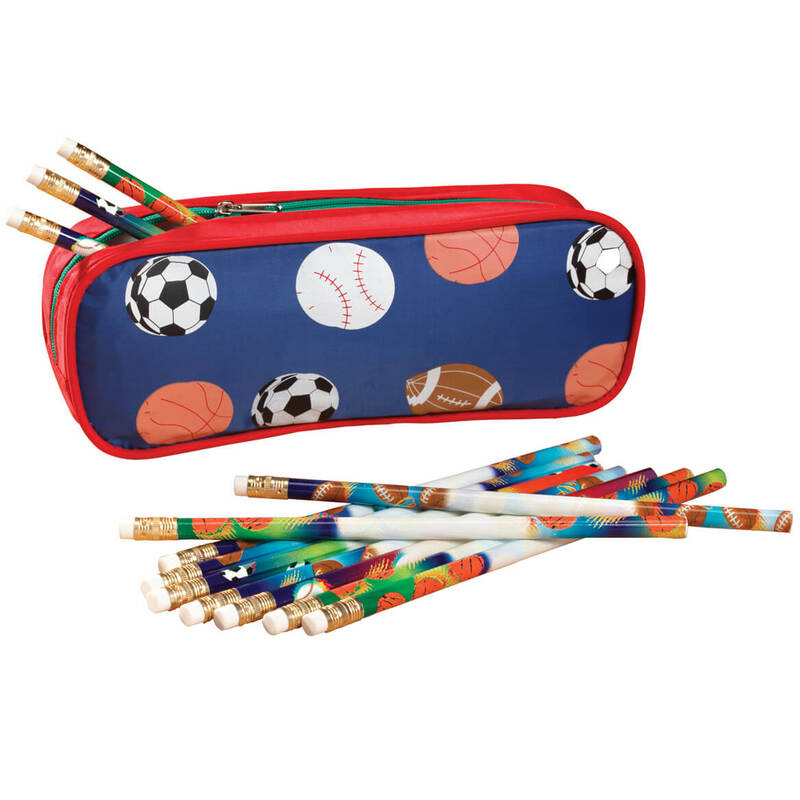 I have a child in his first year of school and thought this pencil case with personalized pencils and case would be really cute with all the sports on it. I picked this because I have a nephew that is a sports enthusiast. I think he will love the pencils, and the case will help him keep up with them. Grandsons will love using this at school. So that other kids won't take pencils. My Grandson needs this for school and it helps with keeping his things in one place. purchased 2, gifts for my 4 year old nephews. Stocking stuffers for 2nd grade boy. Every year I purchase these for each of my school age grandkids. Great stocking stuffer peronalized set. Loved these as kids especially names on my pencils. For nephew that is in 4th grade. I love personalized gifts for y students. Good company; I have made previous purchases from here and loved the quality.